Building a new home for your family can be a challenging thing to do. Getting the customized spaces that you want in your home to be just right is difficult. However, with the right planning, you can have the home of your dreams with minimal problems along the way. Here are six things you don’t want to forget when building a new home. You want your kitchen to be big enough for more than one person to work in. Small kitchens do not provide a welcome atmosphere for a guest or significant other who may try and help with cleaning after a party. Great ideas include a double sink, plenty of counter-top space, and maybe an island, where a few people can sit down and have a casual meal together. New guests to your home may need to get to the bathroom in a hurry. In a large and unique house, finding the bathroom can be a challenge. You don’t want to have any trouble explaining where the bathroom is either. Having a bathroom near the front door mitigates this issue. Alarm systems are an important mechanism in every home to keep your family safe, say the experts at Astro Guard Alarms Vancouver Ltd. Alarms to detect smoke from a fire, carbon monoxide gas, and burglars are all key things to not only keep your new home in line with the law, but also to protect loved ones. This must-have will save you hundreds of dollars a year, if not more. Heat escapes through windows and uninsulated walls all year round, but windows also provide a beautiful source of natural light. Energy-efficient windows help keep your heating costs down and keep you warm in the winter. Laundry rooms are often the forgotten space of a new home. Make sure to not just include enough space for a washer, dryer, and ironing board, but also a folding area and space to put dirty clothes. Laundry rooms should be out of the way of guests and public spaces in case the laundry piles up. 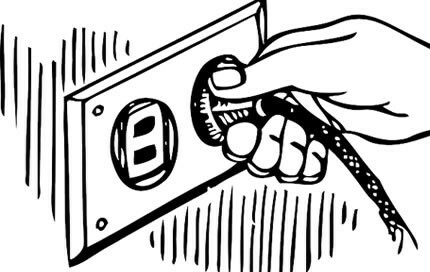 Outlets are essential for all of your electronic devices and appliances. Create a checklist of all of the devices that require an outlet and separate them by room to help you decide where to place each outlet in the room and how many outlets there should be. Building a brand-new home can be tricky. This list includes a lot of things that people don’t think about when designing and constructing their new home. Keep these things in mind so you can have peace of mind when building your new home.